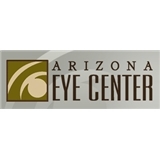 Arizona Eye Center (Chandler) - Book Appointment Online! The staff at Arizona Eye Center welcomes you with a smile. We are here to get to know you and learn more about your unique needs. We take pride in knowing our patients on a first name-basis, and stand by each person every step of the way towards improving their vision. Our professional staff uses state of the art science to improve your vision, or your appearance, with comprehensive eye care. Whether you want to change how you see the world, or how the world sees you, we can discuss the right options for you. We provide medical eye exams, cataract surgery, laser vision correct, corneal surgery, eye lid rejuvenation and more, to provide the best results for you. We are proud of our outstanding “cataract outcomes”. So come on in, meet Medical Director Michael Depenbusch, M.D. ; he’ll give you the top-quality experience and friendly care you deserve. He applies precision and dedication to the most advanced techniques available today to improve your vision — with proven results.